Today we have a lovely little diy project for you. What? Where is the recipe?? 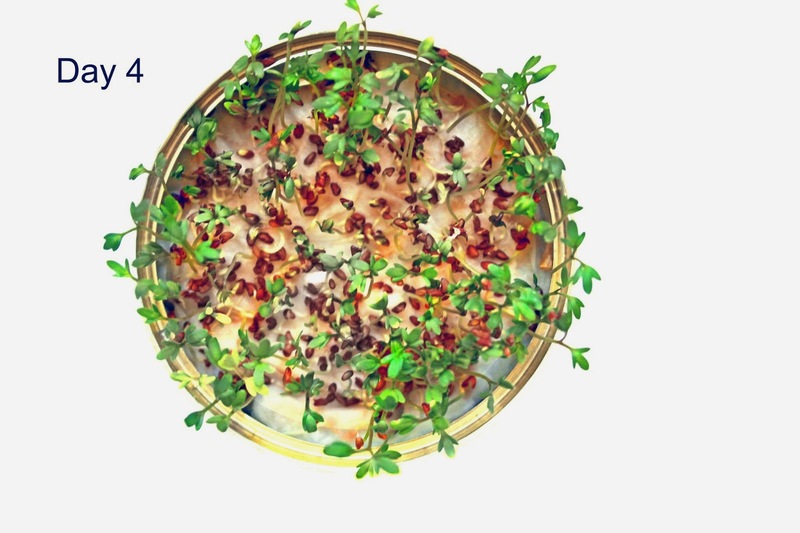 Reeelax, its a project you can actually mix in your salad or put on your sandwich. 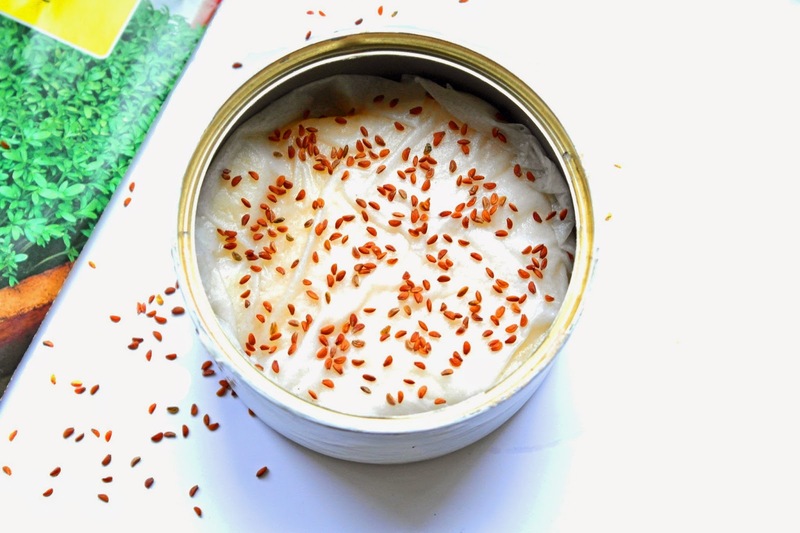 And wouldn't life (and our blog) be boring without a casual unpredictable post? Plus, believing the internet, it is also a super trendy project becaus a) upcycling! and b) homegrown! 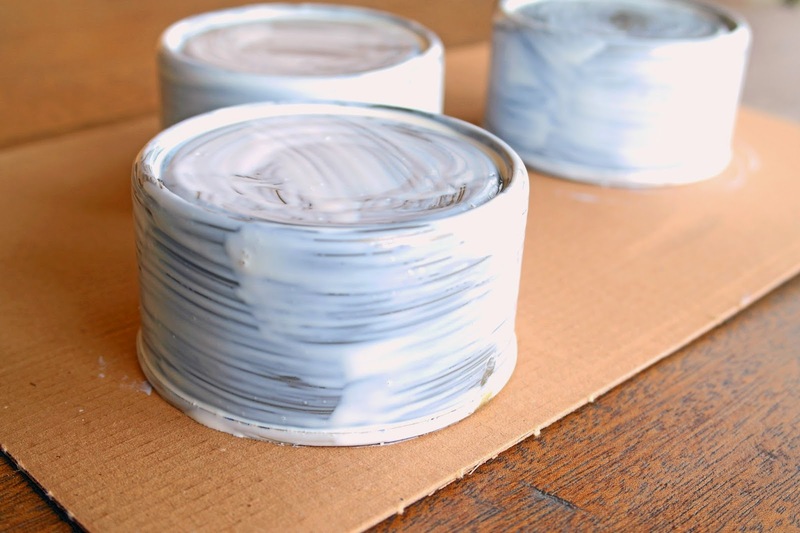 Paint your tins with the enamel paint. 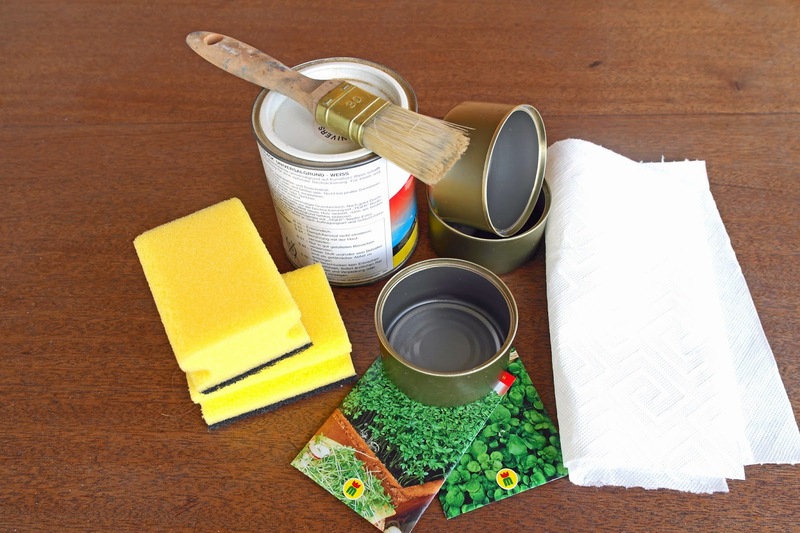 Depending on which product you use, you might need to paint the tins a couple of times. 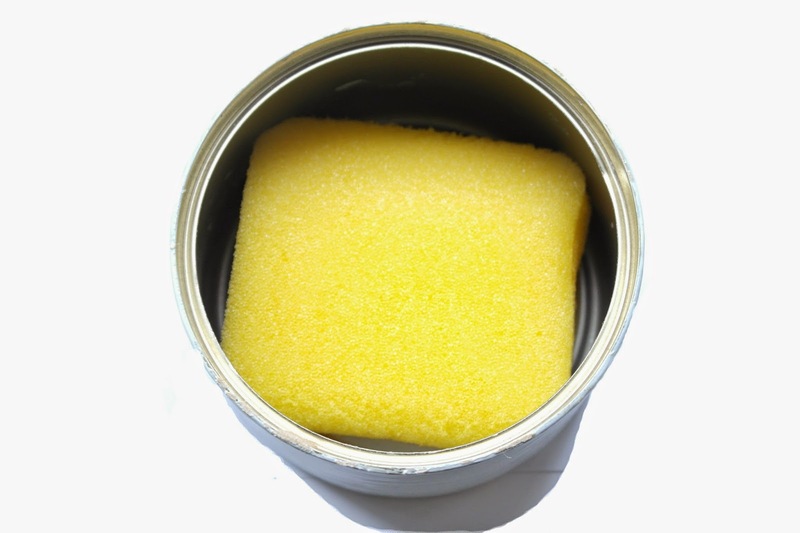 Half the sponges on the longside with your scissors or cutter and put them into the tins. Place one piece of kitchen roll on top of the sponge and soak it with water. 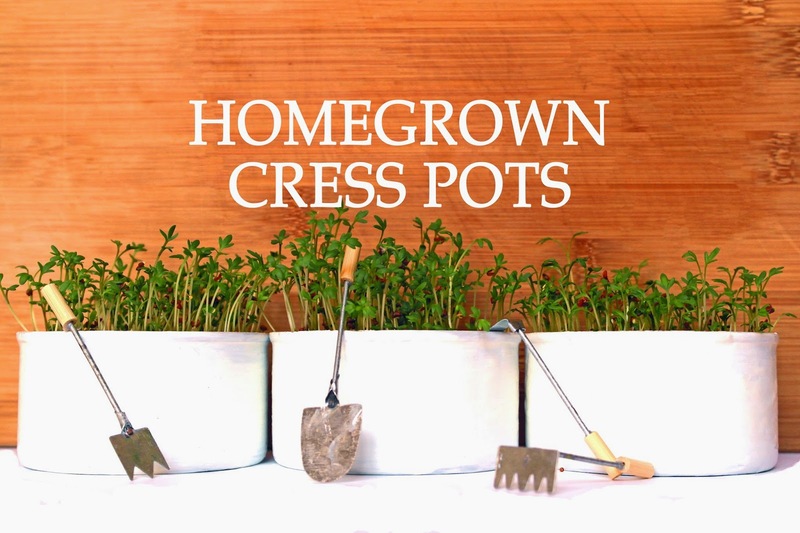 Sprinkle the cress seeds on top and set the tins on a sunny place. 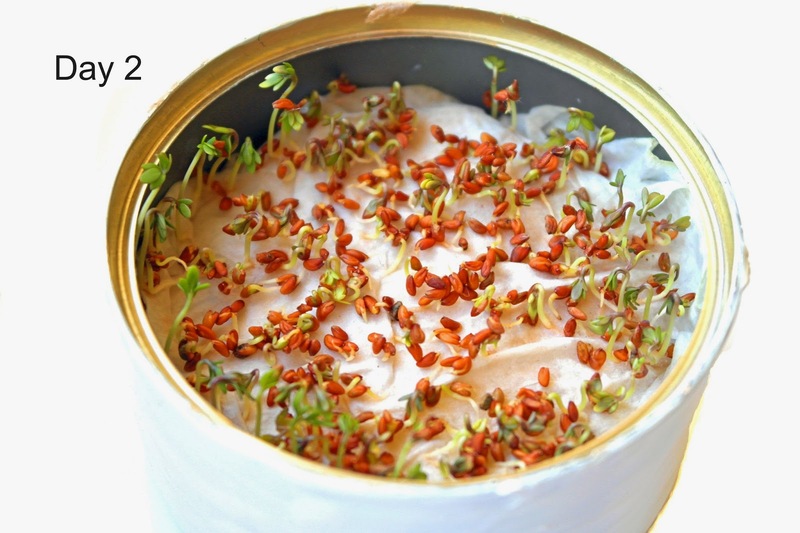 Keeping the seeds damp, the cress will sprout in only a couple of days. 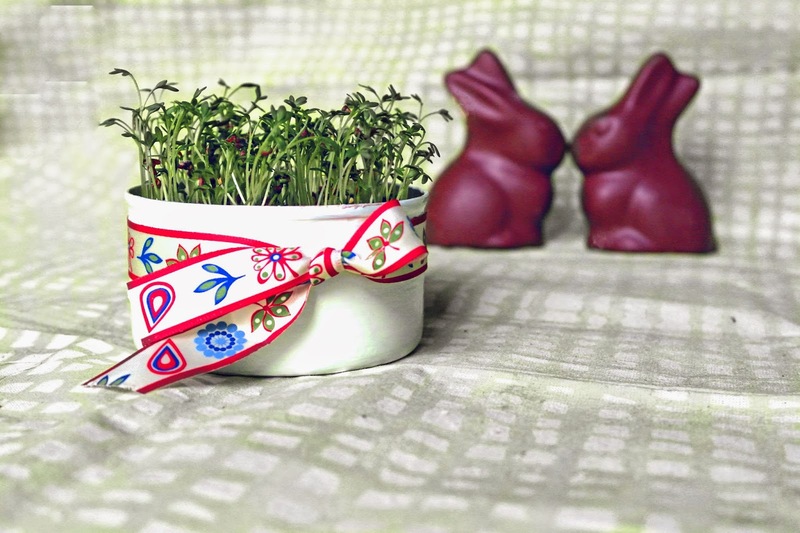 I just love the fresh aroma of cress on my table. 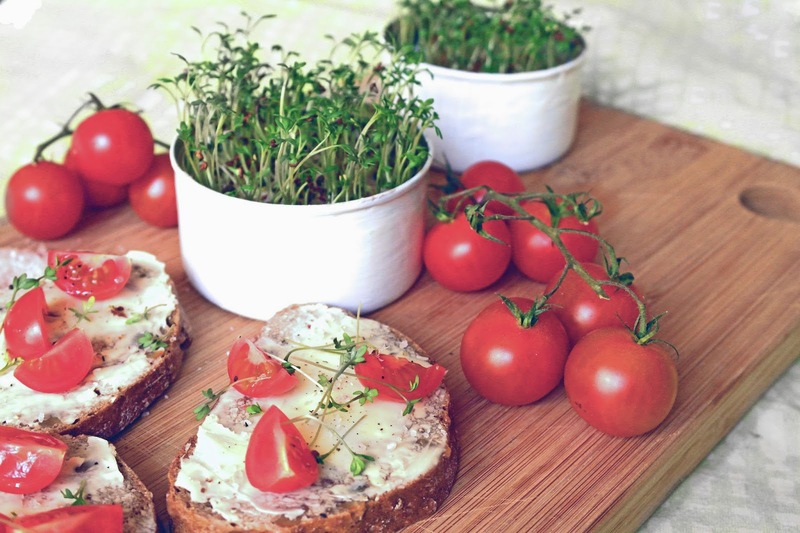 I buttered some slices of whole-grain bread, added tomatoes, sprinkled sea salt, pepper and cress on top - delicious! !